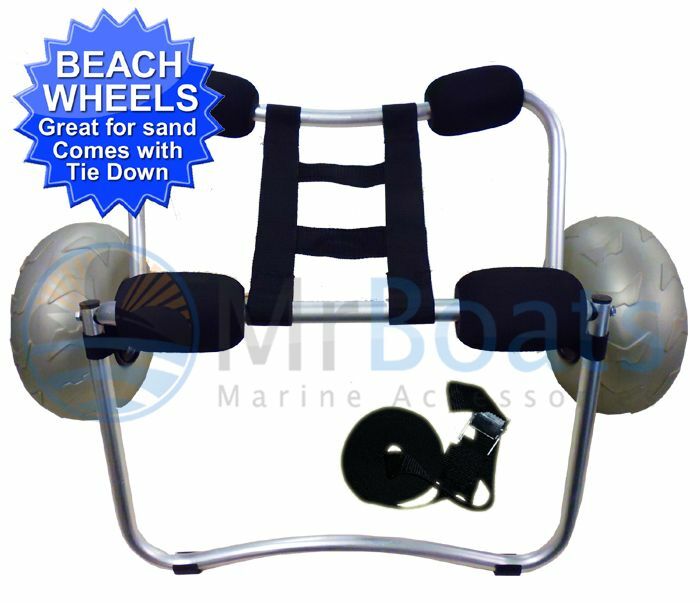 It's large, detachable inflatable BEACH wheels rolls smoothly across sand, gravel and cement boat ramps. The solid polished Aluminium construction is sturdy for years of use. It wont rust. 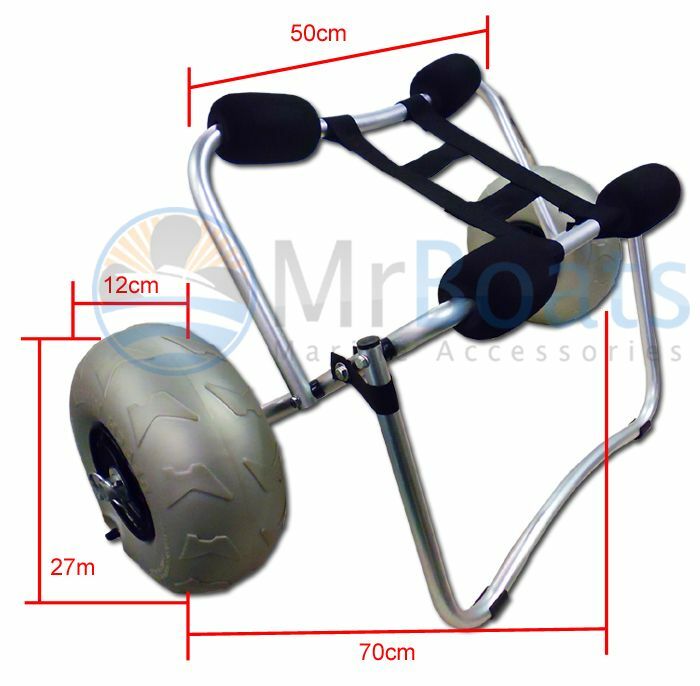 It's light weight for easy transport plus it's also foldable for easy storeage.